This still photograph of the simulator, Lagune d'Or in Central Irukandji on the InWorldz virtual world, looks south towards Mount Aboyo. 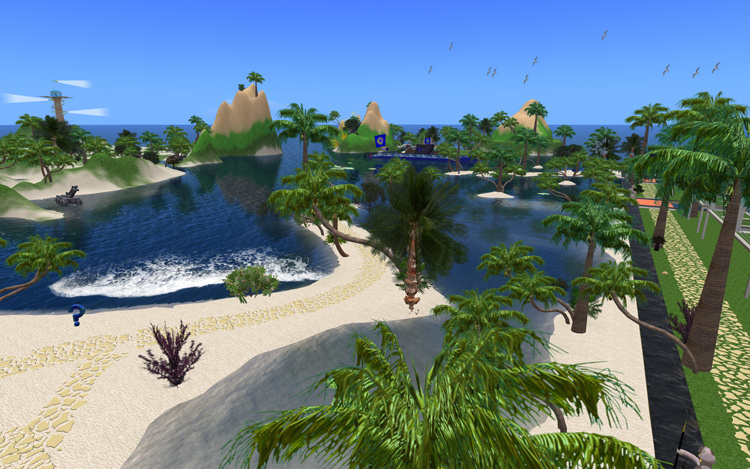 The Irukandji Continent in InWorldz was very photogenic and this simulator ran from early 2013 until late 2014. There are a lot of objects in this photo. I'm pretty sure i made all of them. The sky and sea Windlight settings used for the photo are my custom preset, Irukandji Midday.